Marian Y. Woods is a seasoned corporate executive with more than twenty-nine years of business experience specializing in the area of Human Resource Management. She has worked as a senior level human resources professional for such Fortune 500 companies as AT&T and Verizon. Marian is currently the Vice President of Human Resources for Summit Container Corporation. As the Head of Human Resources she has overall accountability for all human resource management related matters. In addition to her undergraduate work in the area of Psychology, she holds a BS in Organizational Management and a MBA in Human Resource Management. Currently, she is a doctoral Candidate working to complete her PhD in Clinical Christian Counseling. Marian is a member of Leadership Atlanta Class of 2017. She previously served as a member of the Board of Directors for the Fulton County Boys & Girls Clubs; and is currently an executive board member and President of the National Coalition of 100 Black Women, Inc. – MECCA Chapter. Marian was honored by the National Diversity Council as one of Georgia’s Most Powerful & Influential Women; and was recognized by RollingOut Magazine as one of the Female Success Factor Top 25 Women in Atlanta. Additionally, Marian was highlighted as one of the Forty Female Powerhouses featured in the twelfth edition of Who’s Who in Black Atlanta; and was honored as a recipient of the Trumpet Awards Foundation High Heels in High Places Award. Marian is an accomplished writer having appeared regularly as a featured columnist in the Atlanta Tribune Magazine, as well as being published in several other publications. Marian was named the INROADS Southeast Region Atlanta Market Business Advisor of the Year as she was the person who developed and directed the internship program for several of her former companies. In addition to her corporate experience, Marian Y. Woods is the founder and CEO of My Girlfriends, Inc. a Georgia non-profit organization that established for the purpose of providing personal and professional development for women who find themselves in a proverbial holding pattern, unable to incite advancement. 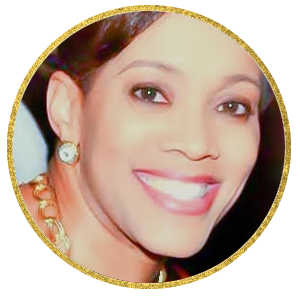 In conjunction with this effort she is the Executive Producer and host of Propel Leadership Development Summit (Propel LDS) for Women and the Venus & Mars Summit (VMS) for Couples. Propel LDS is a leadership conference comprised of Master Classes for women in the areas of personal progression, relational reciprocation, professional prowess and financial fitness held annually. VMS is an annual event purposed to equip couples with the necessary tools to enable them to have healthy, happy relationships that continue to evolve with growth and time. Marian has two sons, two bonus children, a daughter-in-law, and a granddaughter. She resides in Conyers, GA with her husband Raymond Woods.